A glimpse of Masterpiece, Ajay Vasudev's next with Mammootty in the lead, is all we need to know that the movie has all the trappings of a mass entertainer. Ajay agrees: "It is an out-and-out entertainer that will be a treat to Mammootty fans," he says. Masterpiece has Mammootty playing Edward Livingston aka Eddy, an English lecturer who gets transferred to a college in Kollam. But, his arrival coincides with clashes between two groups of students. Eddy is determined to get into the core of the issue and what happens rest forms the crux of Masterpiece. "But then, the prominent element of the movie is that it is a thriller. Something happens in the college and that's what Masterpiece is all about," says the director. He adds that the movie has all the features of a Udaykrishna script. "It is an entertainer, but not a humourous subject, rather humour is weaved into the plot. If you want to tag the movie, then obviously it has to be a suspense thriller," says Ajay Vasudev. But, then who is Eddy? 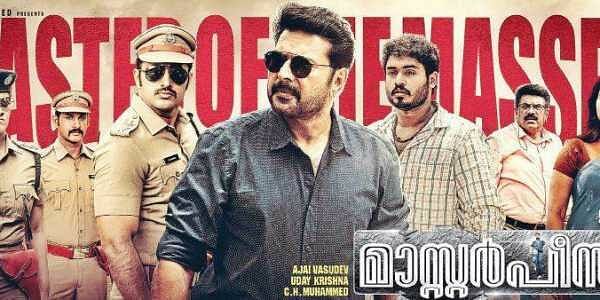 "The protagonist played by Mammootty is an enigma in himself. Eddy may be a teacher, but he is more than that. He has a criminal history," he adds. By now, Mammootty's smart avatar has caught the attention of many and Ajay says it is the actor himself who came up with the style. "He loved the character of Prof Eddy and he wanted to give it a new look. We have been getting many responses as to how cool Mammookka looks," he adds. The director says that the movie has some high-voltage action sequence as well. "I have worked with Mammookka as an assistant director for many movies. He also played the lead in my debut movie Rajadhiraja. But, the effort he put to Masterpiece is impressive. The action scenes are the highlight of the movie," says Ajay. Masterpiece also has Unni Mukundan and Gokul Suresh in lead roles. "Gokul is a student, who is involved in the clash. While Unni Mukundan plays a cop, an assistant commissioner who comes to the college for a probe," says Ajay. The movie also has Varalakshmi Saratkumar and Poonam Bajwa. But, Ajay says Mammootty isn't paired with anyone. There is no romantic thread here. Though Poonam Bajwa and Varalakshmi play important roles, they aren't paired opposite Mammootty," he says. The movie will hit the screens during Christmas.